Packaging design is definitely not for the faint of heart, especially when we’re talking about coffee packaging. It’s not just the visual aspects that matter, packaging design needs to take a multi-sensory approach. While creatives labor over aspects like color palettes, typography and logo design – it’s the production that brings these elements to life. Thoughtful consideration should be given to every production detail – with function, format and structure driving design. From there, designers can take advantage of the supporting role that substrates and production techniques play in the overall design. 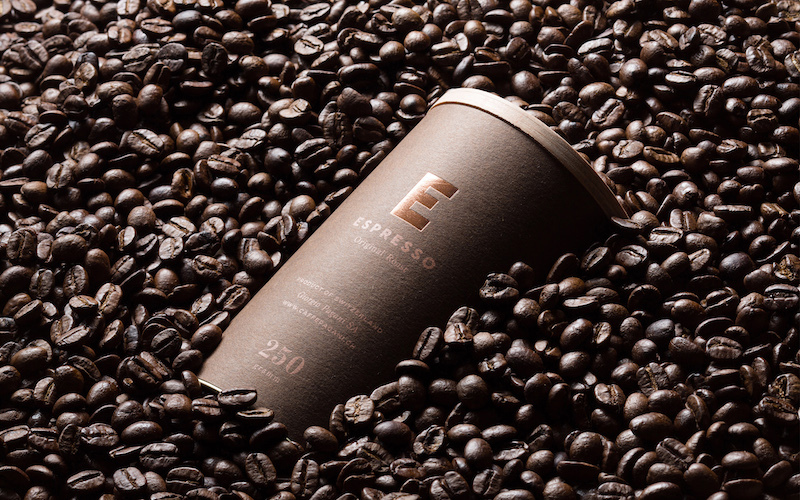 This was the case with the coffee packaging for roaster Caffé Pagani created by Eskimo Design. 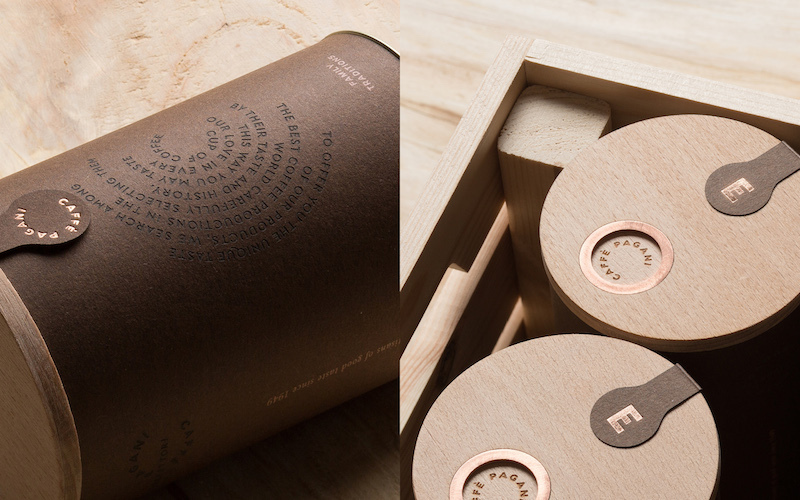 One look at the final product and its clear that this coffee packaging was inspired by the craftsmanship behind the brand. Every detail is thoughtfully executed and produced. 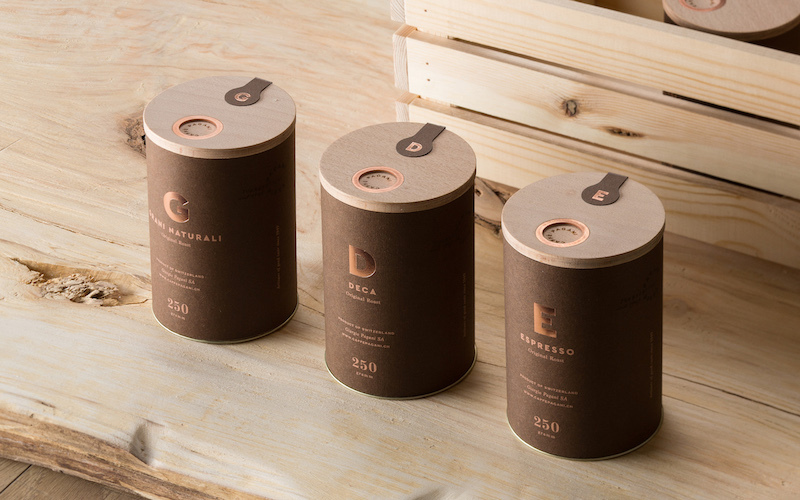 For example, the circular logo inspired by the cylindrical form of the roaster and window was used to convey the idea of fresh roasted coffee, and repeated throughout the elements of the packaging design. You see it in the wooden container used as the primary packaging for the beans, the lid closure and even the paper seal on the lid. A short logo version symbolizes coffee beans which go in a circle during the roasting process. Each mixture has own name and capital letter for quick identification (E for Espresso, G for Grani Naturali, etc.). 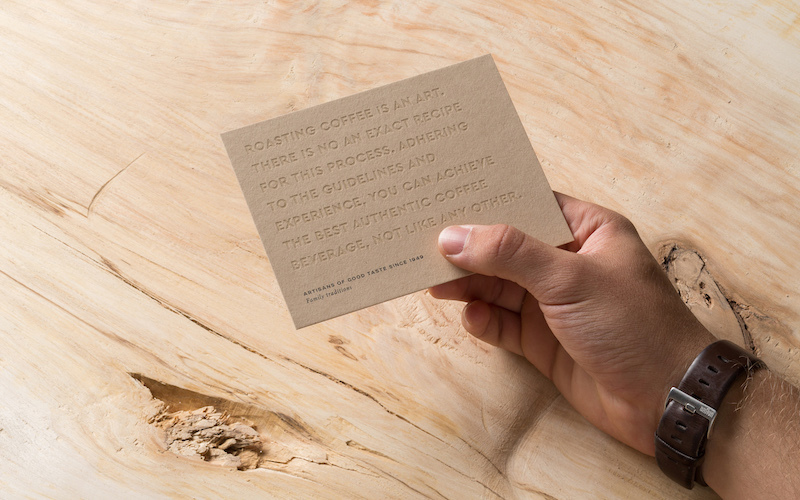 On the back side of packaging is a circular message for real coffee lovers – talk about thoughtful details. The team skillfully layered in tactile production elements to heighten the sensory experience for the recipient. And note the careful attention given to haptics. 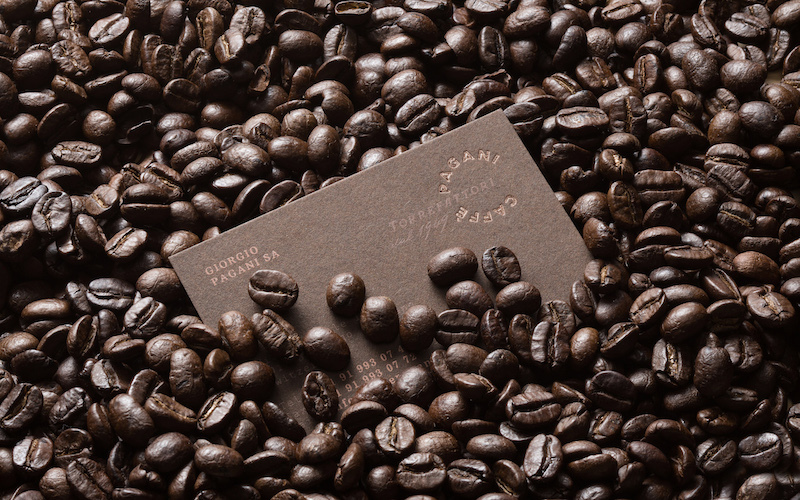 Starting with the substrates used for the coffee packaging, the message of quality craftsmanship and ingredients wafts from the packaging. The wood containers feature a wrap in a toothy vellum paper featuring copper metallic ink and what appears to be a blind deboss. We like that it mimics the laser etch on the wood tops. The identification seals are die-cut in the same vellum brown paper and feature a single letterform in copper foil. Who could resist picking up this canister and giving its contents a good whiff? I couldn’t. Another thoughtful detail is the notecard, whose message of artisan craftsmanship communicates through substrate and print technique. In this case a vellum paper in a neutral stone color featuring a blind impression and one color printing. If you’ve been following along on the Parse & Parcel Instagram feed, you know we’re big fans of pressure based printing, especially those featuring a blind impression. 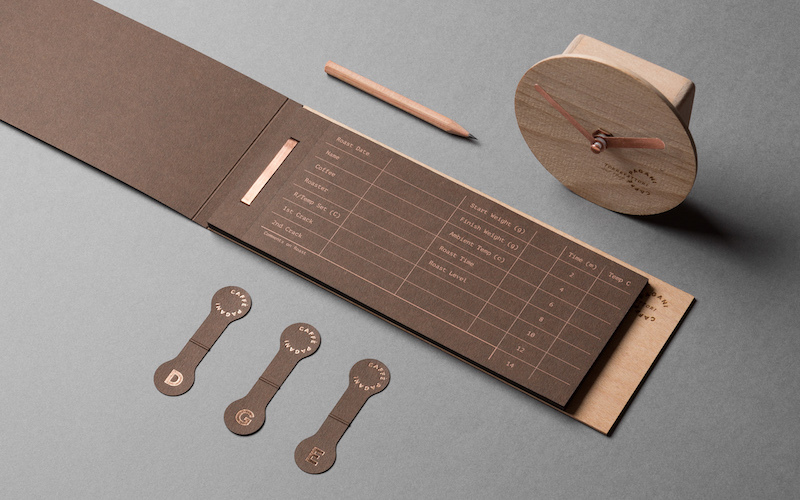 All I can say is this coffee packaging for Caffé Pagani is a fine blend of design, paper and production details.